Tritucum turgidum spp. carthlicum. This wheat is sometimes referred to as “Persian Wheat”. 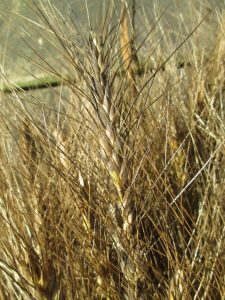 It is related to Kamut but is not suitable for leavened breads, only flatbreads. It is also excellent in cakes, cookies or soups and as a grain pilaf. It originated somewhere near Mt Ararat, in the Eastern Anatolia Region of Turkey, near the border with Armenia and Iran. I obtained my seed from Ruurd Walrecht in Sweden. 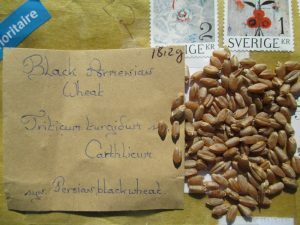 He sent me the Armenian Black Wheat, as well as 2 other strains, one being brown and the other a blond. The colors refer to the awns and hulls and not the grains, which are brown. In Sweden, Ruurd grows the three strains together as a mixture. 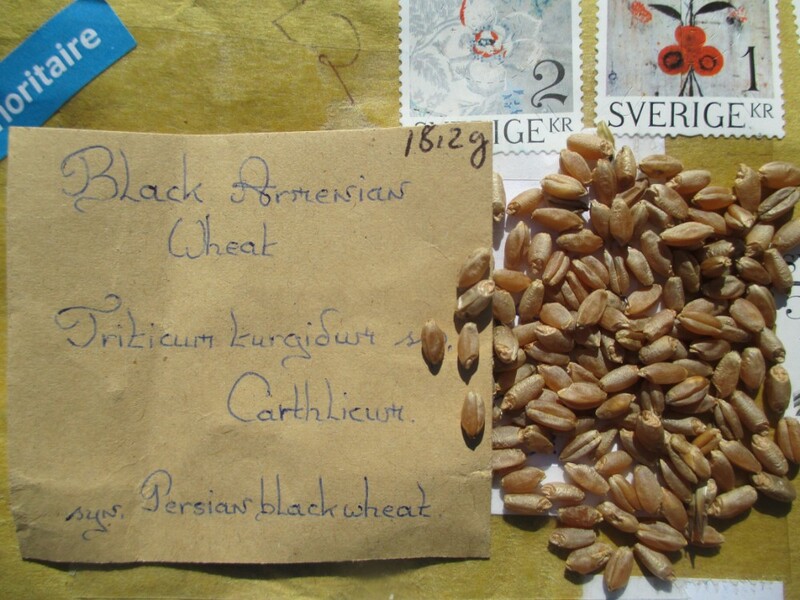 The Armenian Black is especially noted for its disease resistance.